UPPER MARLBORO, MD, October 12, 2016 - Today, the Prince George’s County Fire/EMS Department (PGFD) joined the PulsePoint Foundation and CTIA Wireless Foundation to bring life-saving technology to the county via the PulsePoint Respond app. At an event at the Prince George's Sports & Learning Complex in Landover, County Executive Rushern Baker was joined by PGFD Fire Chief Marc Bashoor, and CTIA Wireless Foundation Executive Director Athena Polydorou highlighting the benefits of this mobile app that alerts CPR-trained citizens of cardiac events in their vicinity so they may administer aid. The app also notifies users of the closest available Automated External Defibrillator (AED). Early application of bystander CPR and rapid defibrillation from an AED have proven to be crucial in improving a person’s chance of surviving SCA. PulsePoint is not limited to emergency responders or those with official CPR certification. It can be used by anyone who has been trained in CPR. The PulsePoint app also provides users with a display of PGFD’s active and recent incidents countywide. On average, PGFD responds to 400 daily calls for service; more than 80 percent are for emergency medical services. 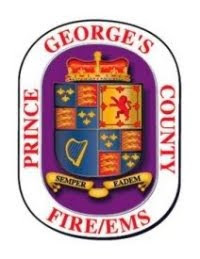 The Prince George’s County Fire and Emergency Medical Services Department is one of the largest and busiest combination, volunteer and career, Departments in the Country, if not, the world. We responded to a total of over 140,000 calls for service last year. Eighty percent of these incidents are EMS-related. PulsePoint is a 501(c)(3) non-profit foundation based in the San Francisco Bay Area. Through the use of location-aware mobile devices PulsePoint is building applications that work with local public safety agencies to improve communications with citizens, empowering them to help reduce the millions of annual deaths from sudden cardiac arrest (SCA). 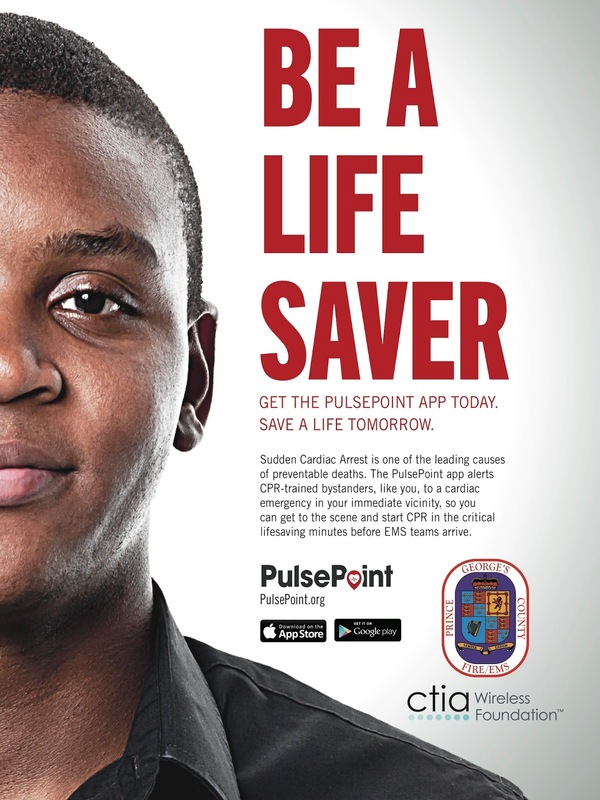 Deployment of the PulsePoint app can significantly strengthen the “chain of survival” by improving bystander response to cardiac arrest victims and increasing the chance that lifesaving steps will be taken prior to the arrival of emergency medical services (EMS). PulsePoint is built and maintained by volunteer engineers at Workday and distributed by our marketing and implementation partner Physio-Control, Inc. CTIA Wireless Foundation is a key sponsor and advocate of PulsePoint, providing industry and financial support. Learn more at www.pulsepoint.org or join the conversation at Facebook and Twitter. The free app is available for download on iTunes and Google Play. CTIAWireless Foundation is a 501(c)(3) nonprofit dedicated to developing and supporting initiatives that use wireless technology to help American communities. The Foundation’s innovative programs benefit consumers in areas such as education, healthcare, safety and the environment. The Foundation was formed by CTIA-The Wireless Association® member companies in 1991. Learn more at www.wirelessfoundation.org.